Work on my focus, and cut my losses when a project or task is going nowhere. Give myself credit for what I do accomplish. Incorporate more “me” time and breaks. 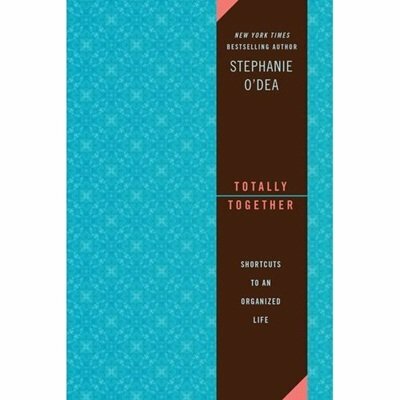 Totally Together: Shortcuts to an Organized Life by the cutest darn crockpot lady you have ever seen. She is a wonder-mom, and while her book is geared toward moms, this kid-free lady loves it. Really, even my husband and I have “family meetings,” so 99% of this calendar / organizational book works for me. It includes daily and weekly to do’s, with reminders and tips on things you may forget about all too often. September Week 2 – time to clean the shower, and Stephanie tells you the best way to do it. February Week 4 – Time to clean out and toss those magazine piles. Oh, and don’t forget about the great haircut reminders (boy do I need those) and time tasks to remind yourself how great you are (we all need that!). The tips and to do’s are on one side and a weekly calendar on the other. I think the calendar is for your schedule, but I’m going to use it to write down my accomplishments for the day. Something to remind myself that I did get some good things done! How do you take care of you? 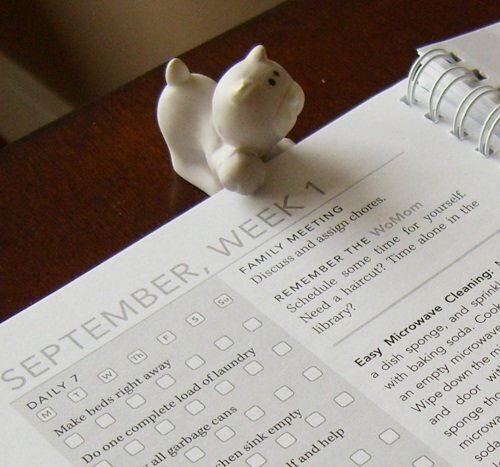 Do you have a strategy for staying organized and feeling good about your days? I have something similar fgrom kikki.k that I really don’t use enough. 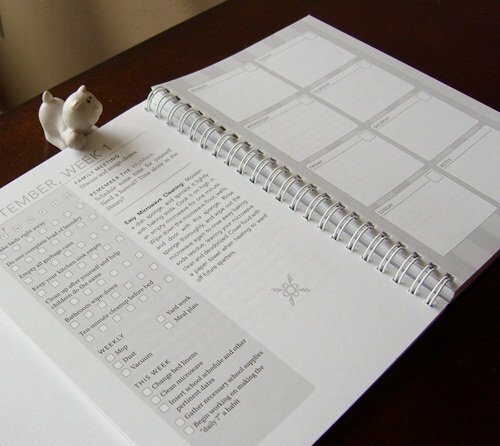 I need that calender/planner. And a haircut. Thanks for the reminder. What a cool company. We need a good stationary company like that in the US!